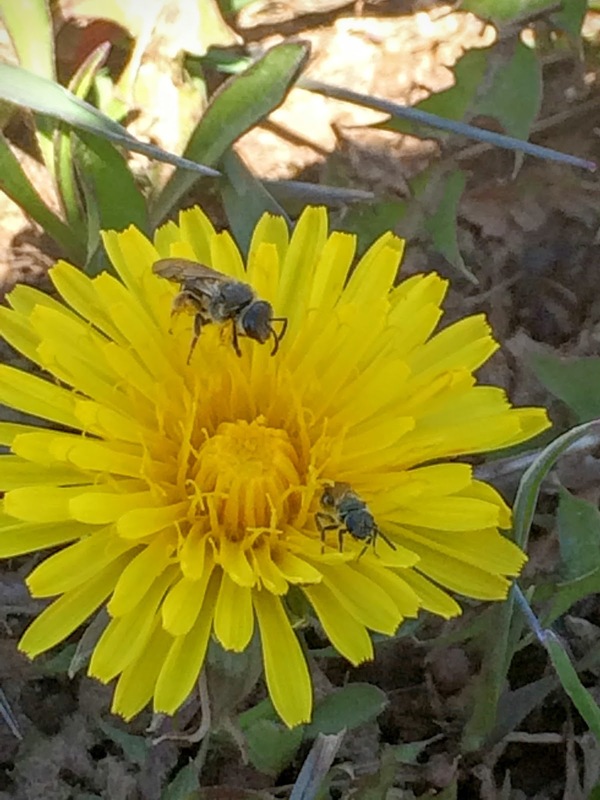 Have you ever heard of Solitary Bees? 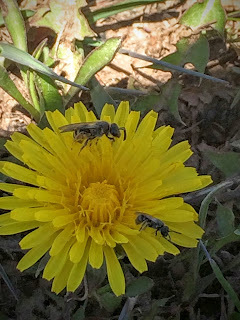 They are the most awesome pollinators that I've heard of. The Honey Bees we commonly hear of work as one big family and they have a hive that they share. They also produce honey. 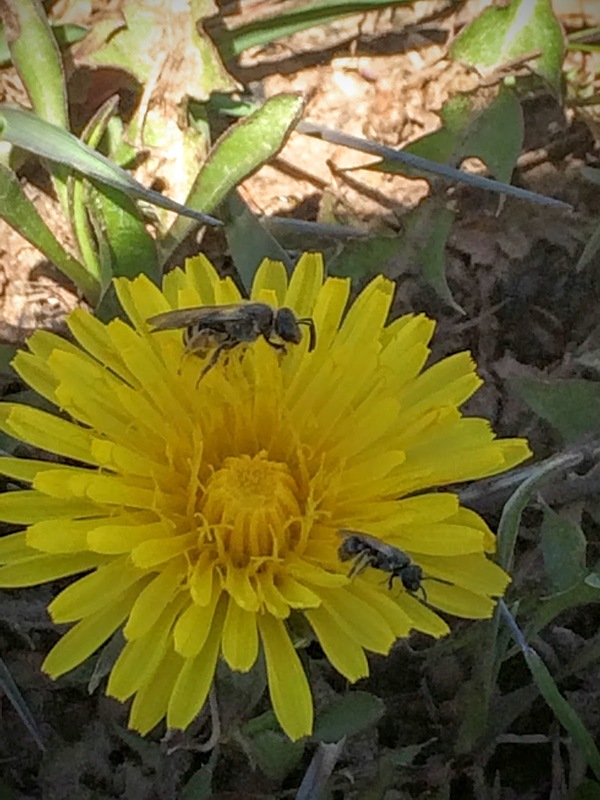 The Honey Bees have been in the news lately because of the Colony Collapse Disorder. From what I gather, one of the bees would return to the hive carrying a dangerous strain of bacteria which would then affect and destroy the whole colony. So the bottom line is that the bees could use all the help they can get for their survival. As many of you know, it's a symbiotic relationship between bees and us, because we rely on the bees to pollinate our orchards and vegetables. There's a whole different type of bees called the Solitary Bees. To me, they look smaller than Honey Bees and sometimes get mistaken as flies. 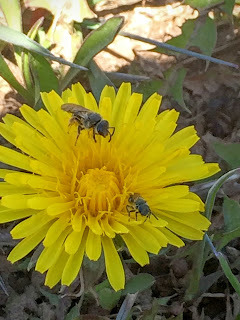 The photos below are called Solitary Bees that I came across a field of flowers in beautiful New Mexico. 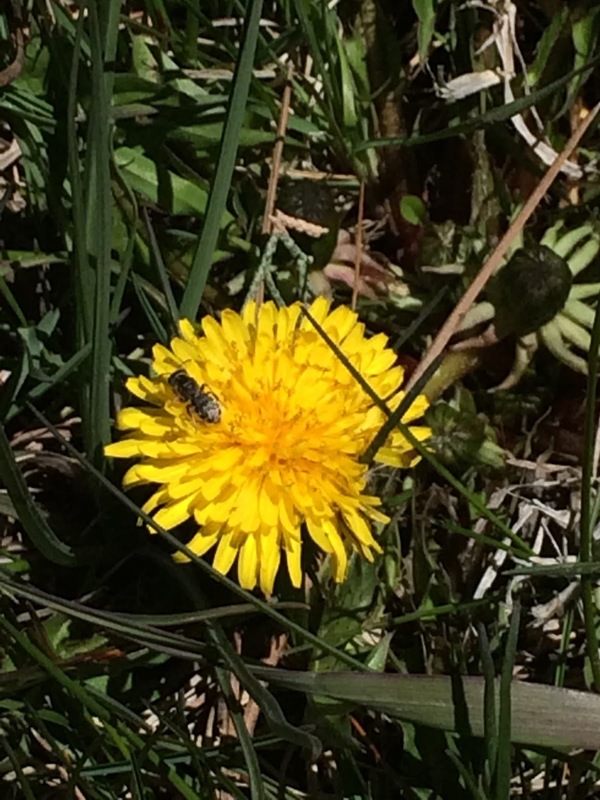 Note that these photos have been magnified as dandelion flowers are small. 1) Instead of a hive, they create their own small nests and lay their eggs in it. 2) They don't produce honey. 3) They are more efficient than honey bees in pollinating flowers. 4) They are known to be gentle and don't sting too much. We have partnered with Crown Bees who gave us a discount to try out their Mason Bee House. I just received the shipments today and look forward to seeing if my neighborhood would attract some of the bees. I will keep you posted. In the meantime, here are some photos of the package I purchased. This is called the Chalet House. It's a Medium Sized House. This is the Bee Cocoon Container called Humidibee and the Mud Box. These are the Bee attractant, mud, and manual. On the Right is a Pollination Pack, the Top Left is a Tray for Leafcutter Bees, and the Bottom Left is a Tray for Mason Bees. The sellers actually suggested me to buy the Bee Cocoons. They encouraged me to do so because it would be a way of introducing the bees to the neighborhood. I declined because I wanted to see first if there are such bees in our vicinity. They also encouraged me to have a lot of flowers first. I don't have a lot of flowers yet in my backyard but my neighbors do. 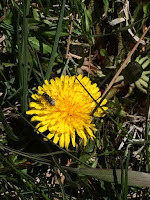 Because of these 2 suggestions that I am passing up on, if the bees don't use the nest, it would be entirely of my own choice and lack of preparation. But I still insisted on this setup because I truly want to see what my neighborhood has and which bees are already here. Plus I didn't want to buy a lot of bee cocoons not being sure if we had enough sources of food for them. When the bees do arrive, it would totally be worth it for me and for my neighborhood! Stay tuned for more follow up!